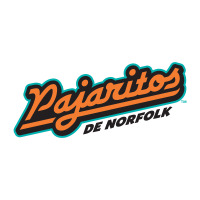 As part of Minor League Baseball's Copa de la Diversión initiative celebrating Hispanic heritage, the Norfolk Tides will play as the PAJARITOS DE NORFOLK for five games during the 2019 season. "We're very excited to join other Minor League Baseball teams across the country in honoring Hispanic culture" said Tides General Manager Joe Gregory. "We're proud to be a part of an industry that is celebrating diversity, and we're looking forward to demonstrating our dedication to the Hispanic community in Hampton Roads." "It is truly an honor to be a part of such a monumental event, and it has been a pleasure to work in partnership and provide insight and assistance to the Norfolk Tides." said Julian Baena, President of the Hispanic Chamber of Commerce of Coastal Virginia. "It demonstrates the Tides' commitment to really representing their communities, and we are off to a great start. We hope to not only provide a fun time for the baseball fan but also a cultural experience. We look forward to our continued partnership and to the first game." The Copa de la Diversión - or "Fun Cup" - is a season-long event series that will see 72 Minor League Baseball teams transform their brands to authentically connect MiLB teams with their diverse communities. This is the second year of the nationwide program after an incredibly successful 2018 campaign that included 33 teams across the country. 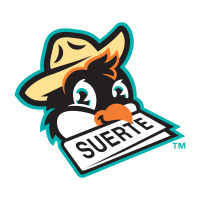 With the Tides being the Triple-A affiliate of the Baltimore Orioles, the team name of Pajaritos - Spanish for "Baby Birds" - is a natural fit. Pajaritos de la suerte - "little birds of luck" - are also a traditional Hispanic custom in which a trained bird will select a fortune for people curious enough to inquire about their future. These little birds are fearless and well-trained, and they serve as a symbol of prosperity and good fortune to everyone who crosses their paths. When the Copa de la Diversión event series comes to Harbor Park in 2019, the Pajaritos de Norfolk will play with the same skillful determination of their namesakes - and maybe even benefit from a little bit of luck. The Tides will play as the Pajaritos de Norfolk on May 4th, May 31st, June 28th, August 4th and September 1st. 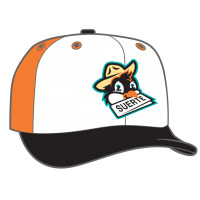 The team will wear special Pajaritos uniforms and caps during those five games, and a new mascot will be introduced as part of the year-long celebration. 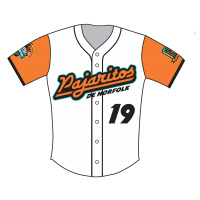 There will be a Pajaritos youth jersey giveaway on May 31st and a Pajaritos bobblehead giveaway on June 28th, and unique Pajaritos merchandise is currently available both online and at Harbor Park. 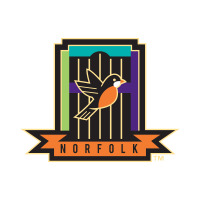 Norfolk opens the 2019 regular season on Thursday, April 4th with a 7:05 game at Gwinnett before opening the home portion of its schedule on Thursday, April 11th with a 6:35 contest vs. the Toledo Mud Hens. Individual tickets, season tickets and group tickets are currently available for the 2019 season. For pricing and additional information, visit the Harbor Park offices, call (757) 622-2222 or visit NorfolkTides.com.